Pool heaters are a must-have if you want to encourage yourself and others to take a dip during the cooler fall and winter months. The other important element to extending swim season: pool lighting. Pool lights serve two purposes: they’re functional (keeping swimmers safe even when it’s dark) and they light up the entire backyard. Your pool is already the major focal point of your backyard during the day. By installing LEDs or fiber optic lights, you can continue to have your pool be the center of attention and twinkle like the stars above it. Explore your lighting options to find which will work best for you during the holidays, such as festive “singing” lights, color changing LEDs and dazzling fiber optics. A soft place to land is always a welcoming sight, so by including plush or overstuffed outdoor-friendly furniture to your patio area, you’ll go a long way in creating an inviting spot for friends and family to hang out and enjoy while outside. Patio heaters will keep the area toasty and warm, though be sure to include some fuzzy throw blankets for guests to snuggle and warm themselves with. 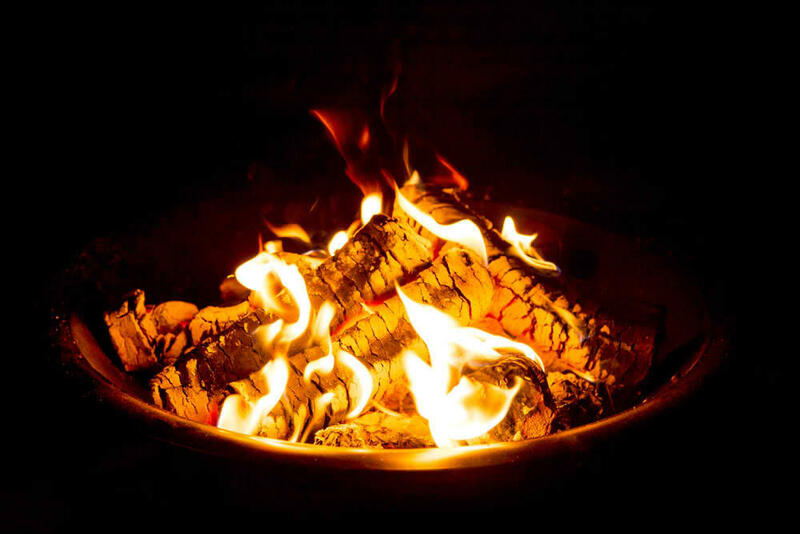 There are many outdoor decor options that homeowners can take advantage of to warm up their outdoor living space, but none is as effective as fire features. Fire features such as fire pits, fireplaces and fire bowls not only make your backyard appear warmer, but the thrill that they bring will be sure to beckon friends and family members outside and to the pool or patio.